Everyone makes mistakes, but for some reason trading card companies seem to make them in droves. 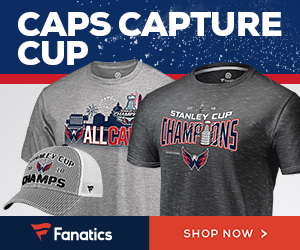 Who can keep track of all those names and numbers, teams, logos and statistics? 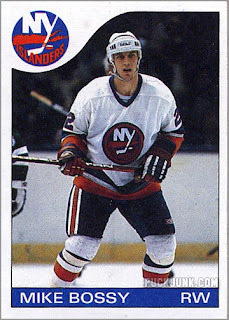 Back in 1983, O-Pee-Chee made what I still consider two of the most annoying error cards ever. 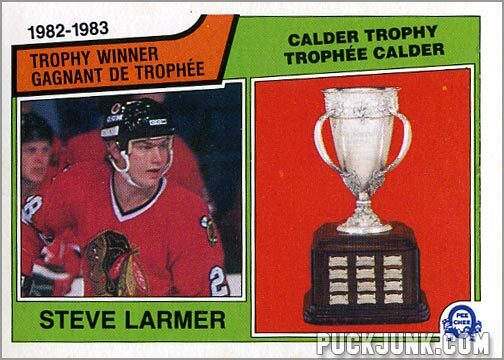 Chicago Blackhawks winger Steve Larmer scored 43 goals and 47 assists in the 1982-83 campaign and was awarded the Calder Memorial Trophy as the NHL’s rookie of the year. 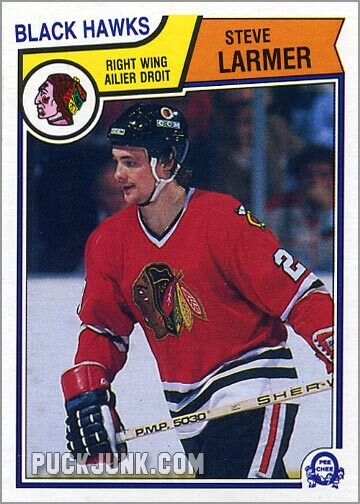 The same season, fellow Blackhawks’ player Steve Ludzik skated in 66 games, scoring six goals and 19 assists. Both players earned rookie cards in the 1983-84 O-Pee-Chee hockey set, but with one glaring mistake – their photos were swapped, as Larmer’s card (#105) shows Ludzik, while Ludzik’s card (#106) pictures Larmer. 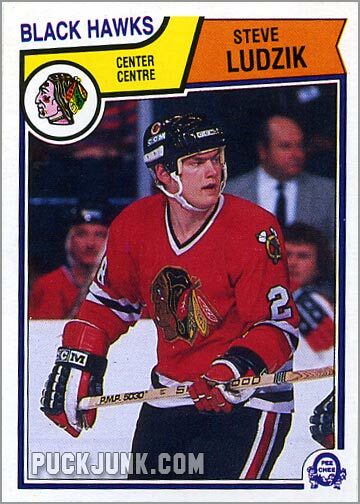 Will the real Steve Larmer rookie card please stand up? Normally, one can see how easy of a mistake this was to make. 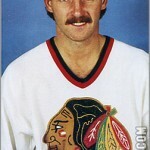 Both guys were named Steve, had two-syllable surnames beginning with L and played for the Chicago Blackhawks. Larmer wore jersey number 28, while Ludzik wore 29. Even their career paths mimicked each other – both were born in Ontario, drafted in 1980, played three years of junior hockey for the Niagara Falls Flyers (1978-81), and spent the 1981-82 season in the minors with the AHL’s New Brunswick Hawks. 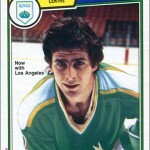 Additionally, both Steves were left-handed shots and roughly the same age, height and weight. 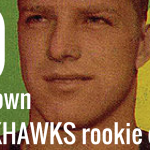 So, if O-Pee-Chee had misspelled a name, gotten the stats wrong, or something to that extent, we’d all understand. Likewise, mistaking Bob Kelly for J. Bob Kelly or Duane Sutter for Darryl Sutter would almost be excusable. 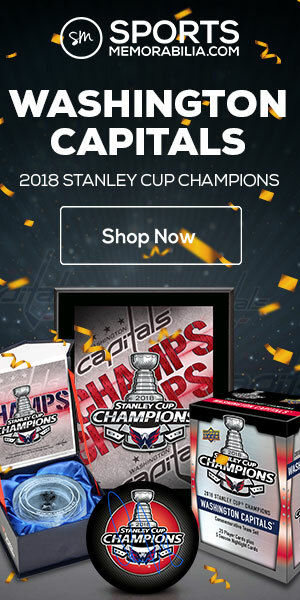 But screwing up the card of the NHL rookie of the year is ridiculous and lazy on the card maker’s part – especially when the same dude also appears in the same set on a trophy winner card. Fortunately, they got that photo right. Larmer had an admirable career, scoring 1012 points (441 goals and 771 assists) in 1006 games – averaging just over a point-per-game in his 13-years in the NHL. 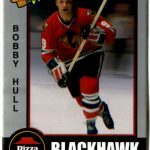 He is also third all-time in the NHL for consecutive games played with 884 straight contests, never missing one from 1982 to 1993. Only Doug Jarvis (964) and Gary Unger (916) had longer “iron man” streaks. 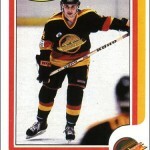 Larmer appeared in two All-Star Games, and helped the New York Rangers win the Stanley Cup in 1994. This photographic gaffe devalues Larmer’s card while at the same time rescues Ludzik’s RC from languishing in the commons bin. 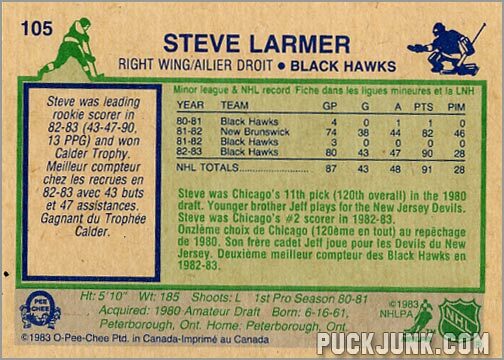 Today, Larmer’s rookie card is valued around $8, and would probably be worth more if it actually pictured him. 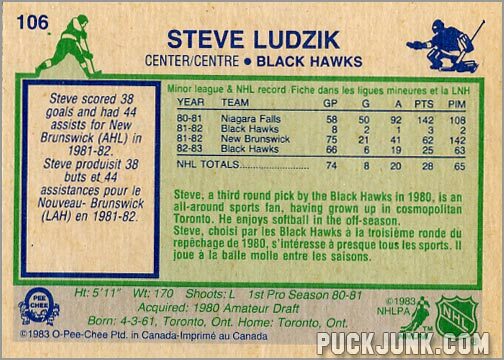 Ludzik’s card – which should be worth no more than the stick of gum that it came with – sells for roughly $2. Many times, you’ll find both sold as a pair, since it really does not make sense to own one without the other.